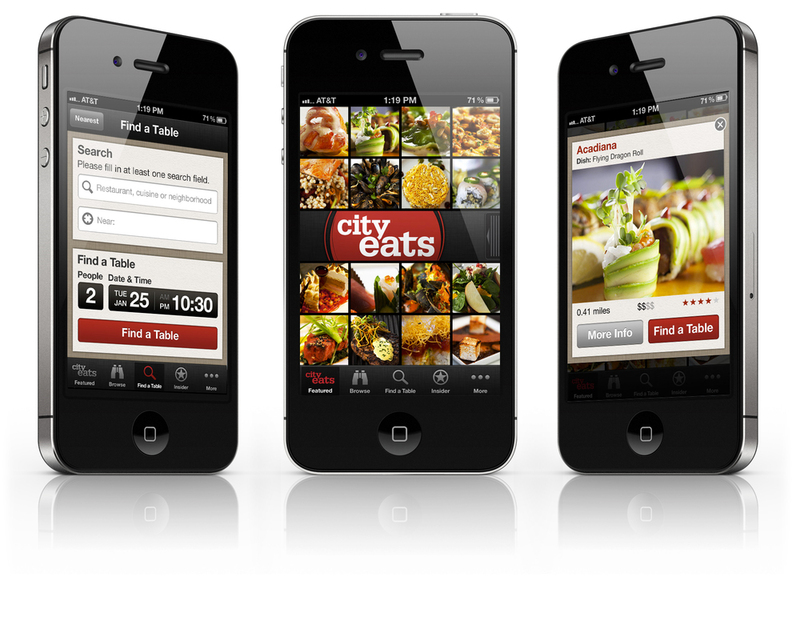 ​Extend the CityEats service, from traditional web and tablet table management, to include a consumer mobile app that delivers a user-friendly mobile table booking experience. Create a differentiated mobile table booking product in a crowded market by inspiring the user to book a table relevant to an on-the-go context, enabling users to find a table immediately. Answer customer demand for a native app to book tables from, in first phase and scale to waitlist and reservation management. 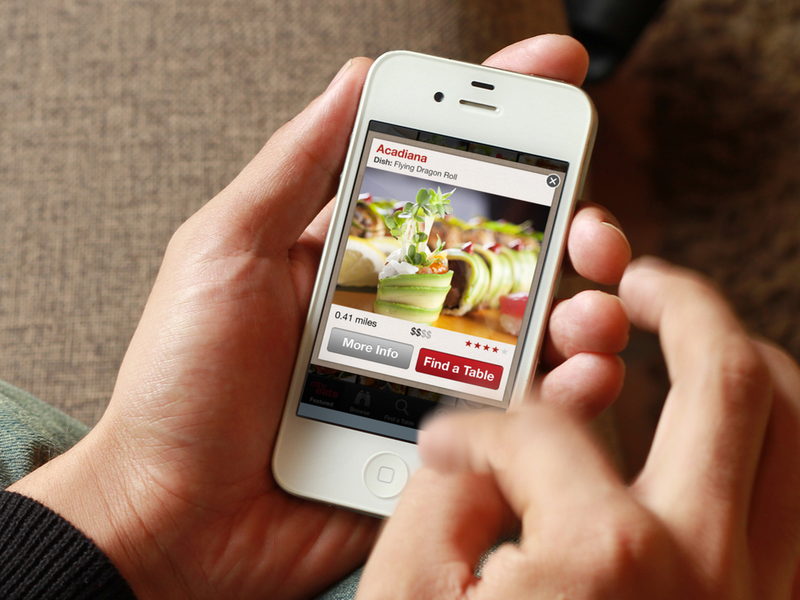 Create a native iOS application to serve initial launch markets taking advantage of strong food photography to create a unique user experience and inspire brand loyalty. I helped facilitate the workshop, collated the notes, and circulated the project plan. Throughout the project I managed delivery and scope across the disciplines of strategy, user experience and visual design. Chad Wetherbee and I researched food-focused applications, conducted SWOT analyses and ranked their pros and cons. I presented a strategic vision and a project brief highlighting opportunities in the market, based on target audience profiles presented by the client. I documented the functional requirements for the native mobile applications for iPhone and Android. Then we conducted a review to set priority for initial release. With a defined set of features I created a concept IA bubble chart to help the client prioritize features and updated the functional requirements. I sketched core user journeys and interfaces with Chad, then drafted the complete wireframes and annotated them for visual design and development. Throughout visual design and development I continued to coordinate the schedule as well as provide feedback considering brand, expected behavior and functional requirements. Delivered UX & Design to client's development partner to hit target launch date. 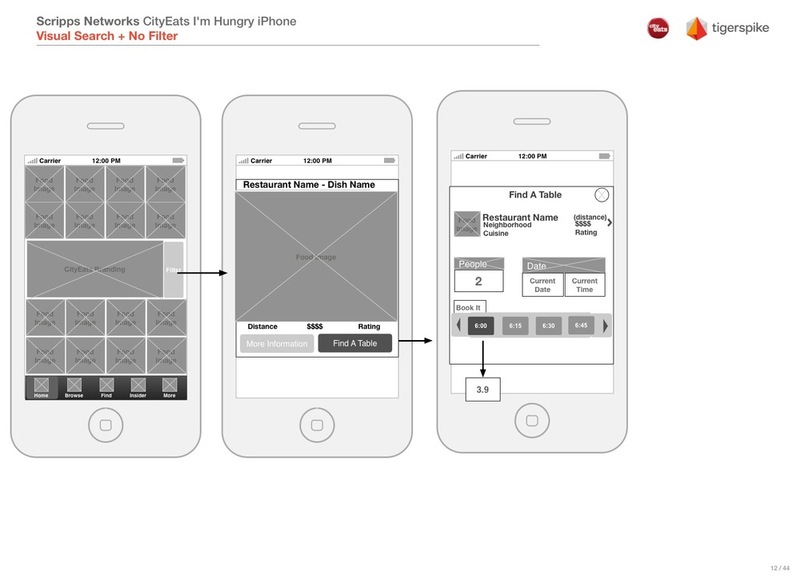 Since launch the homescreen has become more utilitarian, requiring users to select a market, party size, date to immediately deliver restaurant listings to users. While we recommended a more scalable, utility-driven approach initially, the client wanted to lead with a heavily visual discovery experience.